It is starting to get hot here down-under. 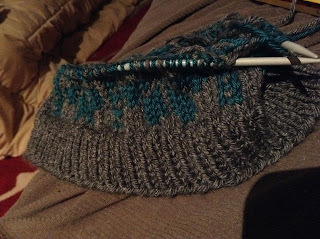 For some reason I dislike knitting when it is hot and humid, I don't like the feel of the yarn on my hands. I usually switch to cross stitch but perhaps this year I will experiment with different types of fibres so I can knit throughout the Australian summer. 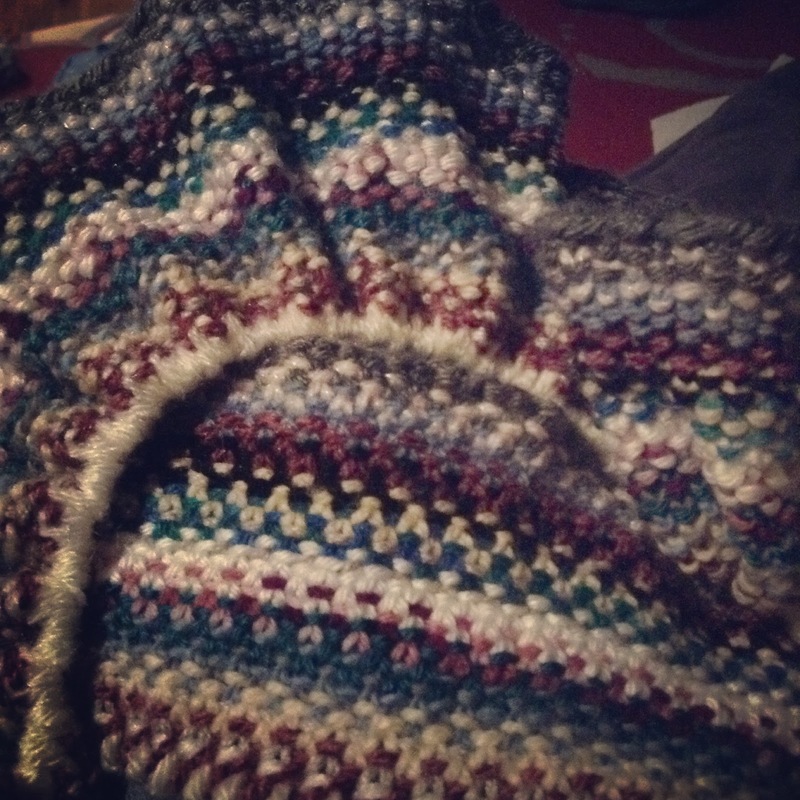 At the moment the evenings are still cool, which is when I mostly knit anyway. I usually have two project on the go at one time. One is typically something simple for when I need to do some mindless TV knitting (yes, *need* - knitting for me is a form of relaxation) and the other is something new or complex for when I want to challenge myself and work those brain cells. 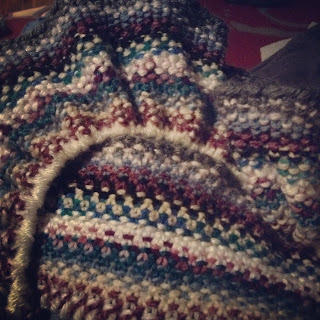 The above is a scarf in linen stitch using up my stash of 8-ply. I first attempted linen stitch years ago to make a strap for a backyard. Linen stitch creates a firm, non-stretchy fabric which is great for bag straps. I love the effect of linen stitch in multiple colours and the pattern itself is only a two row repeat which is pretty easy to memorise after a while. I cast on 400 stitches for this project using 4.5mm circular needles - knit back on forth rather than in the round. In the above picture you can see both the 'right' (knit) side and the 'wrong' (purl) side. Both have an interesting texture and pattern. Here's a good video on how to do linen stitch. The other project I've been working on is a beanie using stranded colour work. 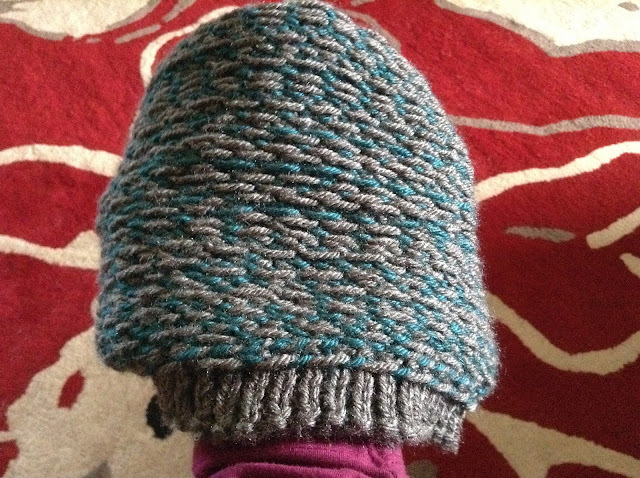 The picture below is of the inside of the beanie (i.e. turned inside out) to show how the yarn is carried across stitches. This creates a double-layered fabric, in this case soft and squishy and warm. Patterns can be simple repeats and can be very effective when using two contrasting colours. It creates a complex pattern that looks difficult but is surprisingly easy to knit because you only work with one yarn at a time. This type of slip-stitch knitting may also be called mosaic. I'm not really sure how, or even if it does, differ from Fair Isle. If you know, please tell me!